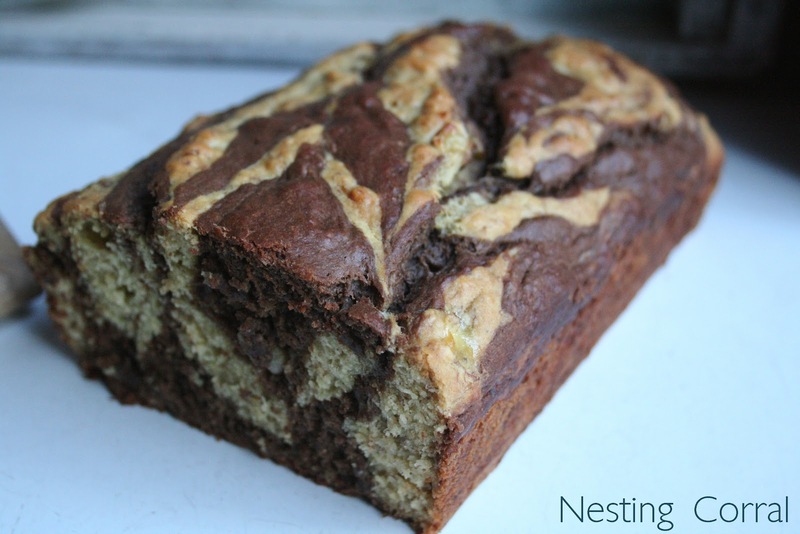 It's no secret that I love banana bread. But sometimes I end up with so many bananas that need using up that after a week of eating plain banana bread I'm ready for a change. I'm not one to waste, so throwing away brown bananas because I don't feel like regular banana bread isn't really an option. 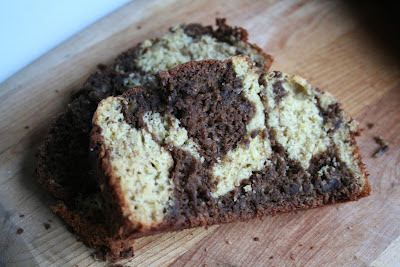 I was thrilled when I found this recipe for chocolate marbled banana bread. Preheat oven to 350 degrees. 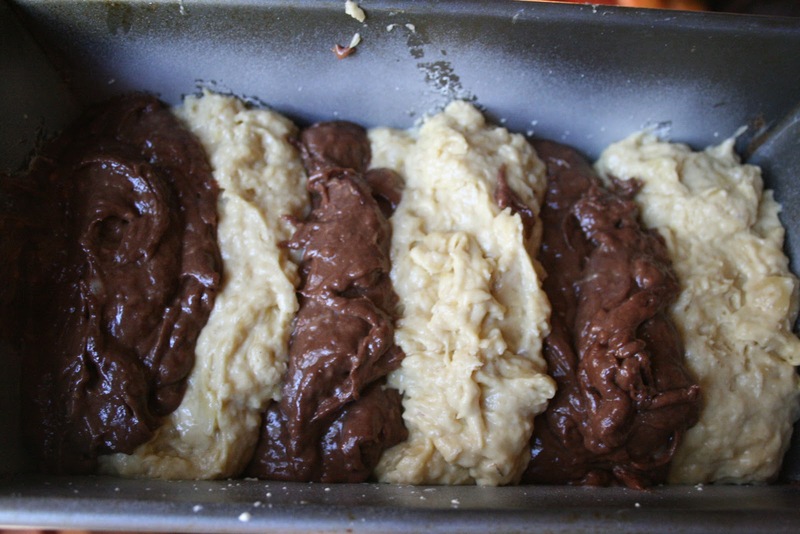 Grease the bottom and sides of a 9x5x3 inch loaf pan and set aside. In a large bowl combine flour, baking soda, salt, and cinnamon. Make a well in the center of the flour mixture and set aside. 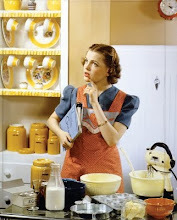 In medium bowl combine vanilla, eggs, mashed bananas, sugar, melted butter. Gently fold into flour mixture just until moistened, batter will be lumpy. Transfer about a third of the batter to a smaller bowl. Using double boiler method or the microwave melt the chocolate chips. Add melted chocolate the the third of batter you set aside and mix well. 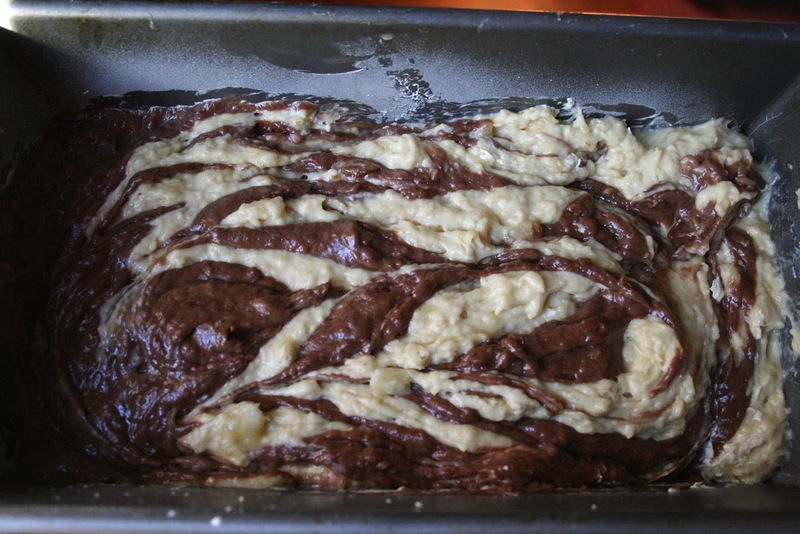 Place alternating sections of plain batter and chocolate batter into the prepared loaf pan. Use a butter knife to cut through the batter and marble it. Bake for 55 to 60 minutes or until knife inserted in the center comes out clean. Cool for 10 minutes and then serve with butter. Enjoy!